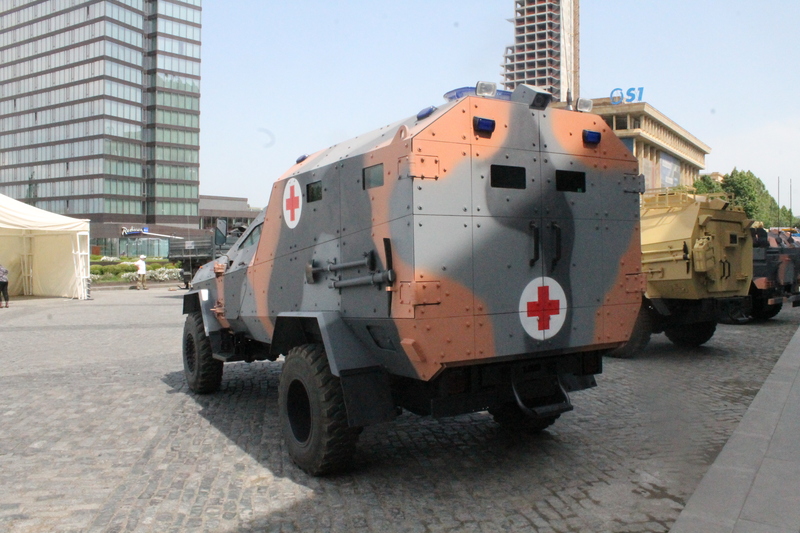 Armored medical evacuation vehicle primary role is to insure transportation of wounded soldiers from the front line of military operations and providing first medical aid during transportation. 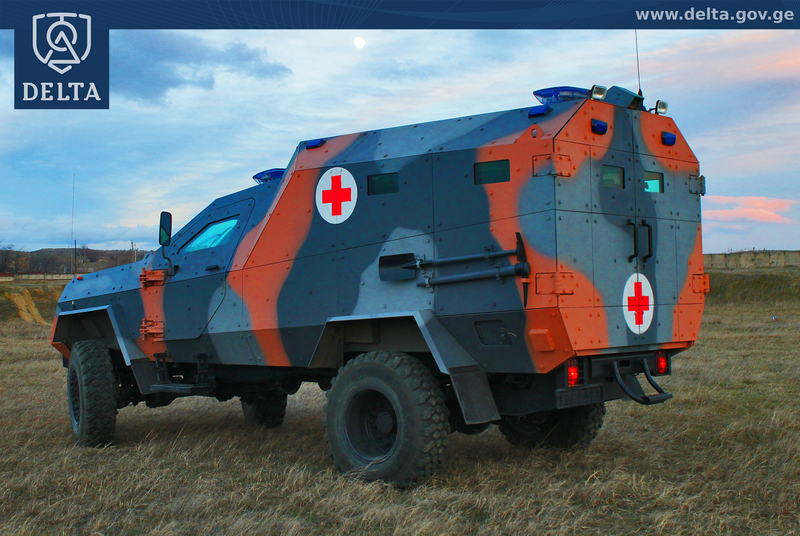 Medical evacuation vehicle on universal 4×4 chassis is fully designed, assembled and tested by State Military Scientific-Technical Center “Delta”. 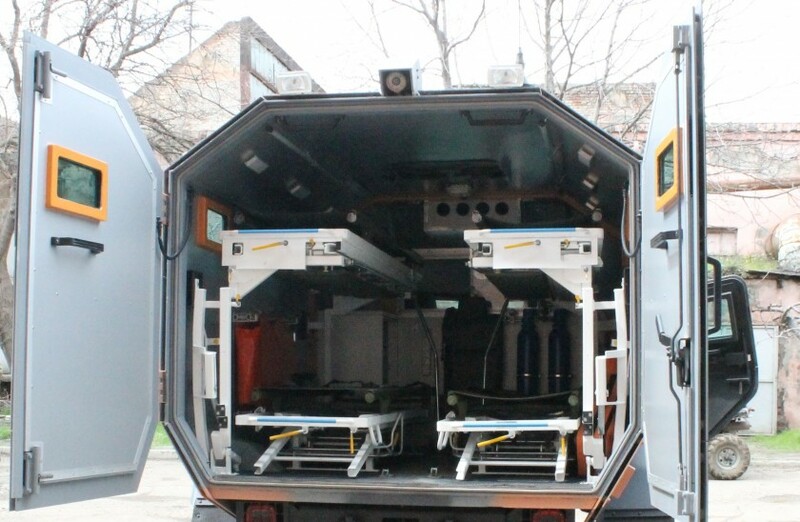 Medevac is equipped with 356 hp V8 type twin turbo-diesel engine. 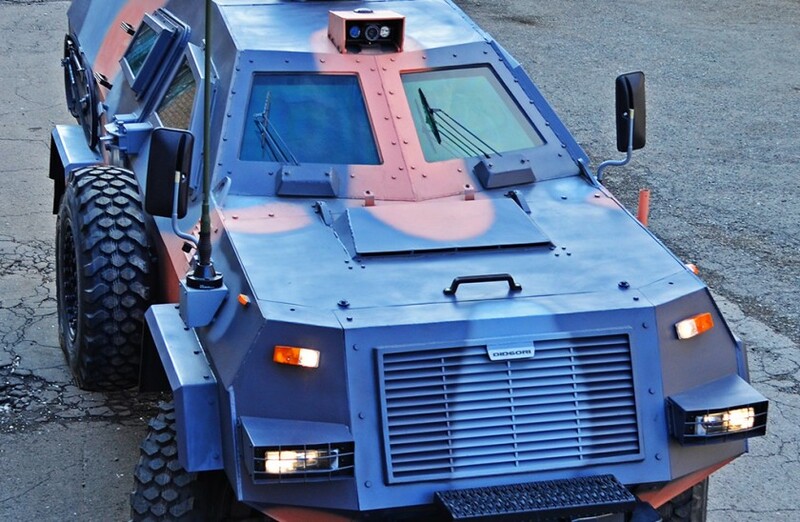 It enables the vehicle to develop 120 km/h speed on asphalt road. The construction of the armored medical evacuation vehicle is assembled with armored steel plates – in double layer construction and provides all-around protection according to EN1063 B7+ Standard for the crew located in front, rear medical compartment and engine compartment. 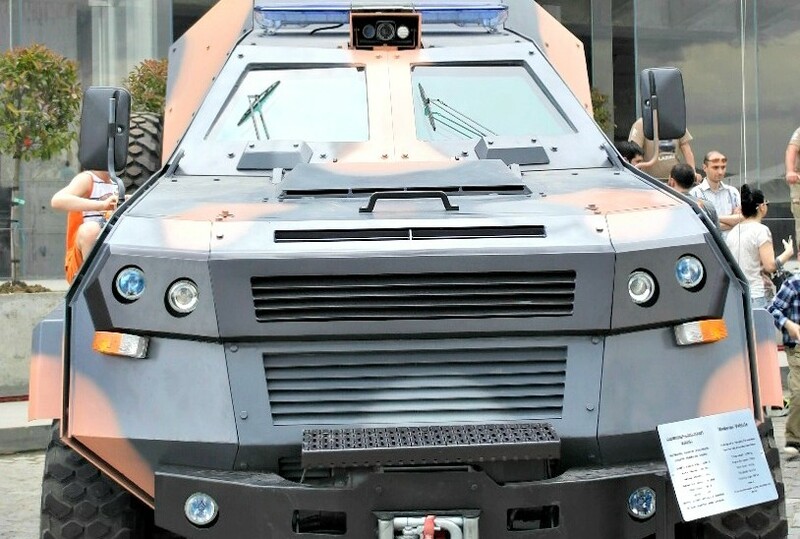 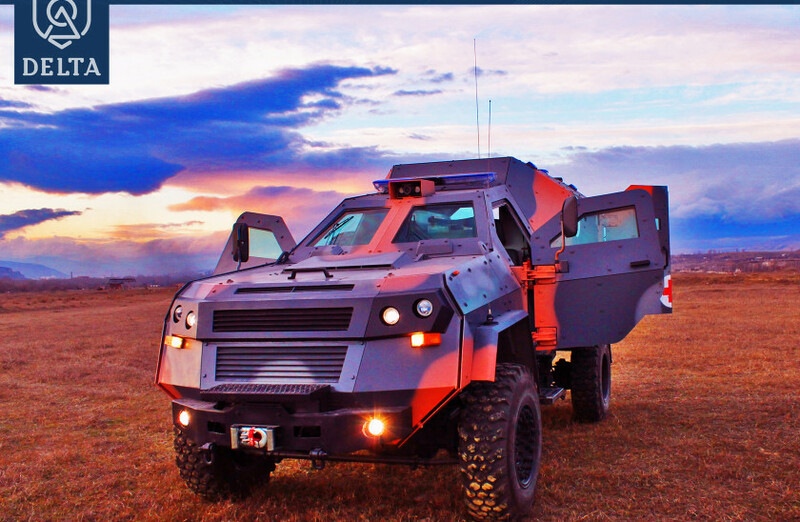 The base of the vehicle is manufactured from the layer of armored steel – while the protection level is further enhanced by an add on armor panels – which can be easily removed or replaced – for replacement of damaged panes, upgrade/downgrade of vehicle protection level Etc. Based on Ford F550 super heavy duty truck, all the mechanical components of DIDGORI are time proven and easy accessible worldwide. 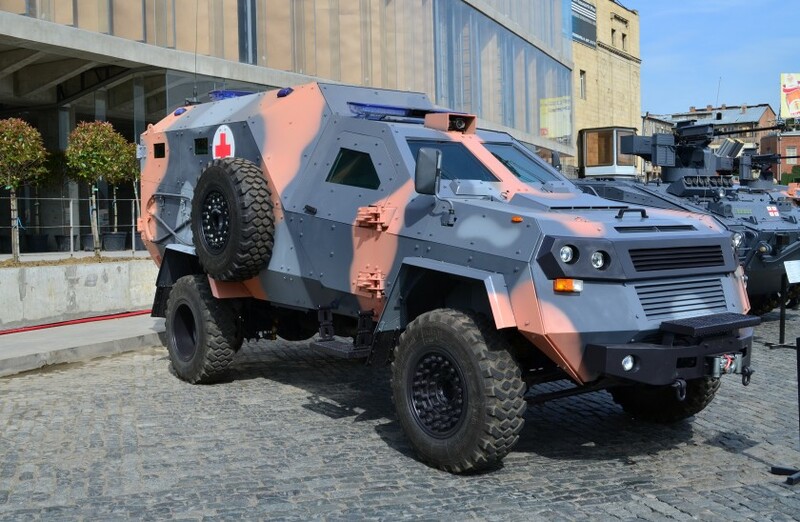 To further enchase reliability of AMEV all vital mechanical components have been further reinforced to military standards, some of the components have been fully replaced with high end military substitutes in order to insure perfect weight distribution and long service life of the vehicle. 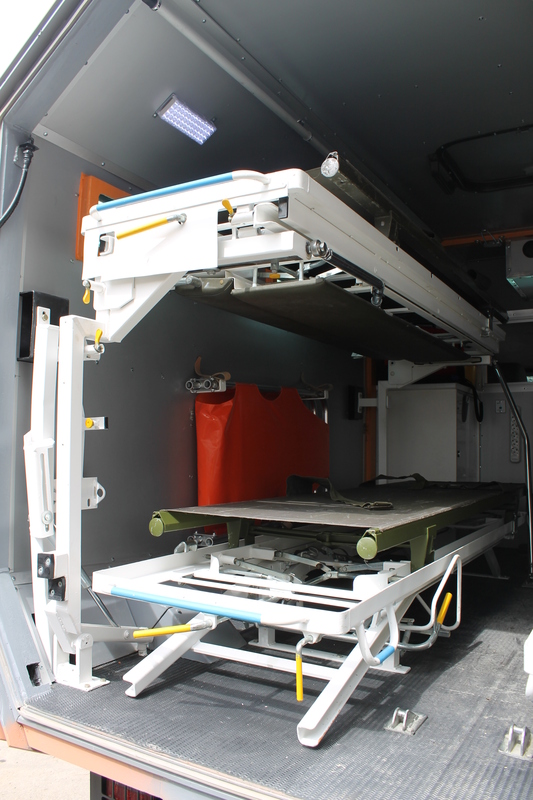 Using of high end components increases intervals between routine maintenance. 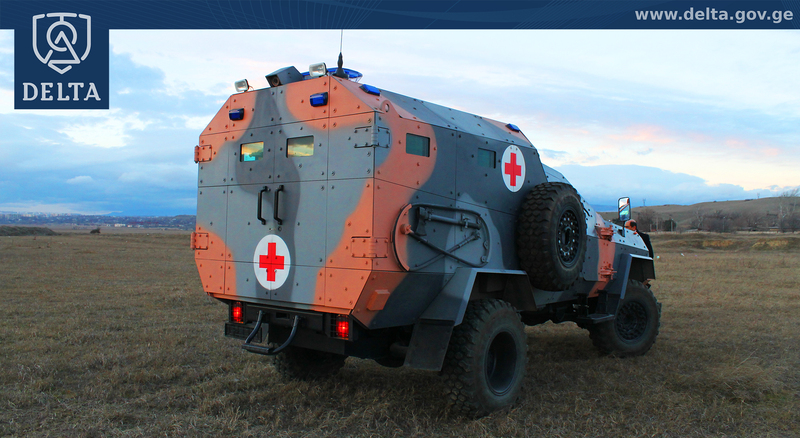 All the vital components of the vehicle are highly protected from any type of external threats and despite this are easily accessible for service personnel. 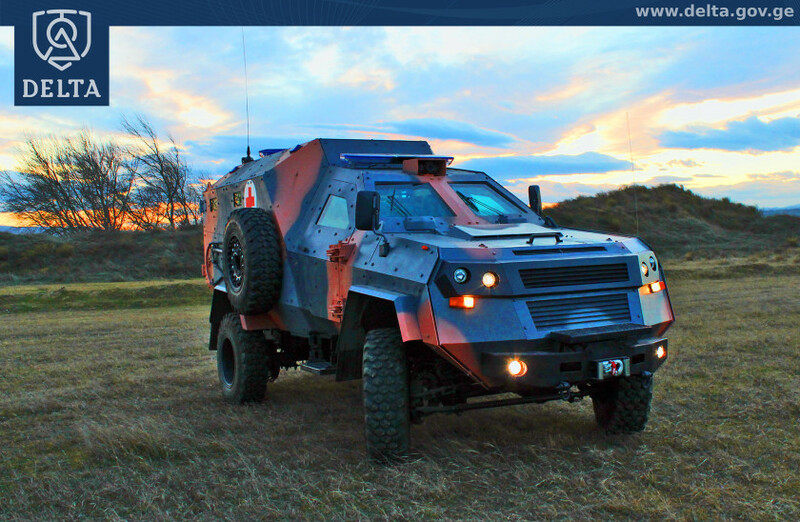 All standard electrical equipment of this vehicle is tested and modified as necessary to protect against the armoring process. 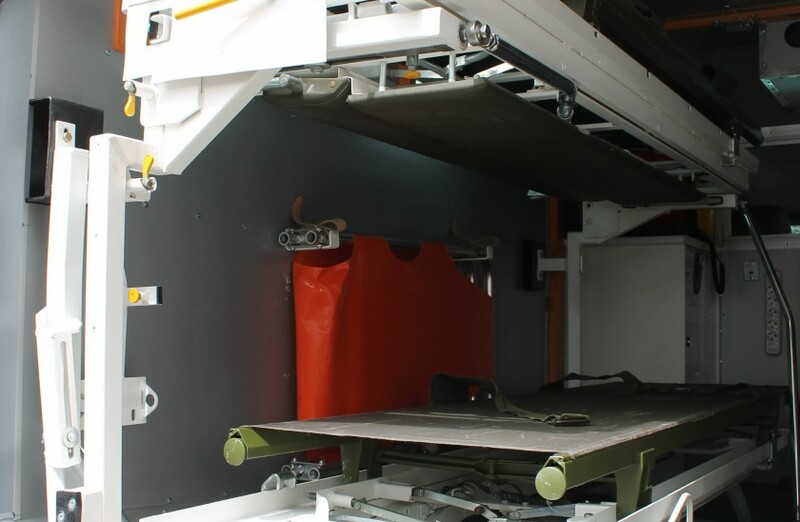 Additional electrical accessories (such as real lighting if required by client) is installed by qualified personnel and will use automotive grade or aviation grade electrical wiring in protective looms to ensure durability and ease of maintenance. 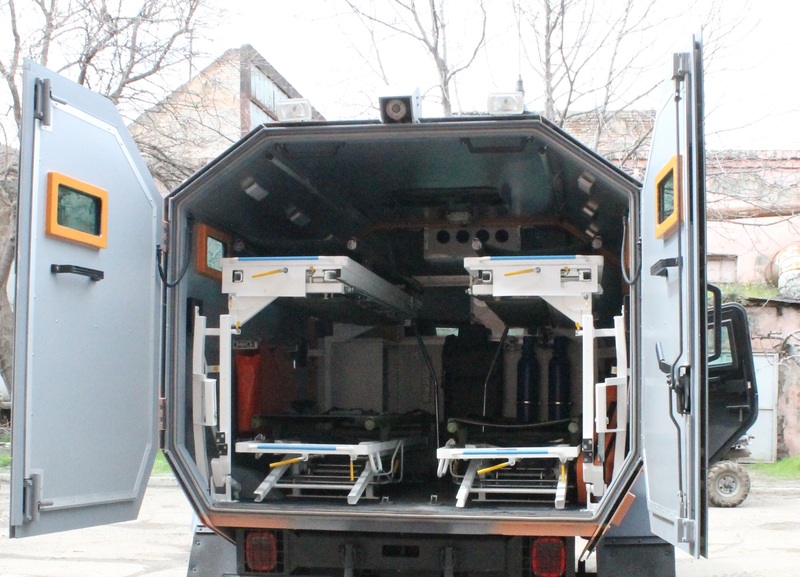 There are four stretchers and special medical equipment in the rear part of the vehicle. 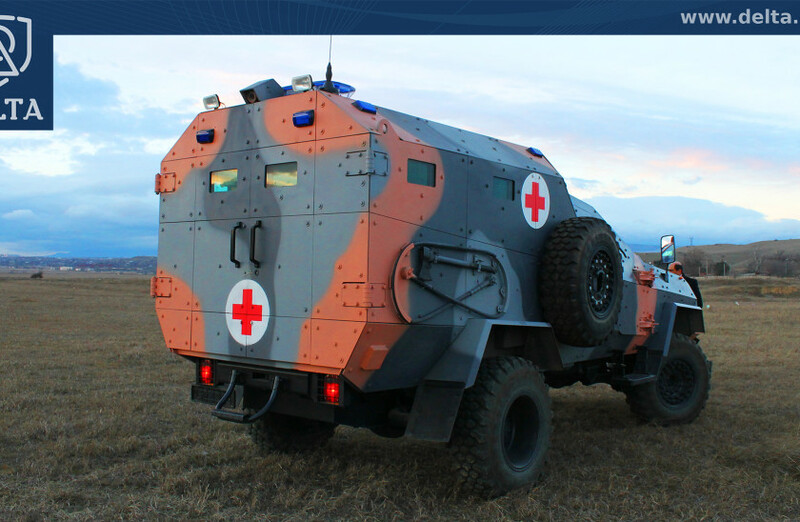 High maneuverability: powerful V8 twin turbo engine which gives high power to weight ration to medical evacuation vehicle has a maximum 120 km/h speed in any terrain and climate conditions. 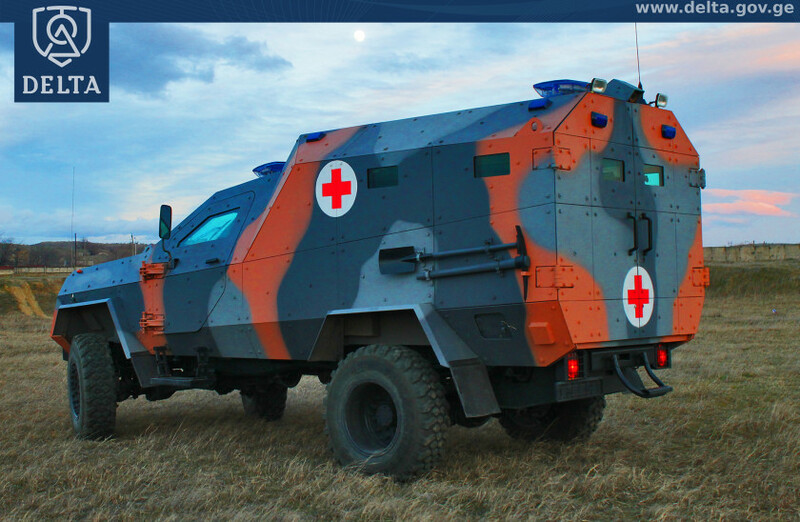 High level protection: the body structure is designed specifically to have optimal angles of placing of armored plates to ensure maximum effectiveness against kinetic and mine blast threads. 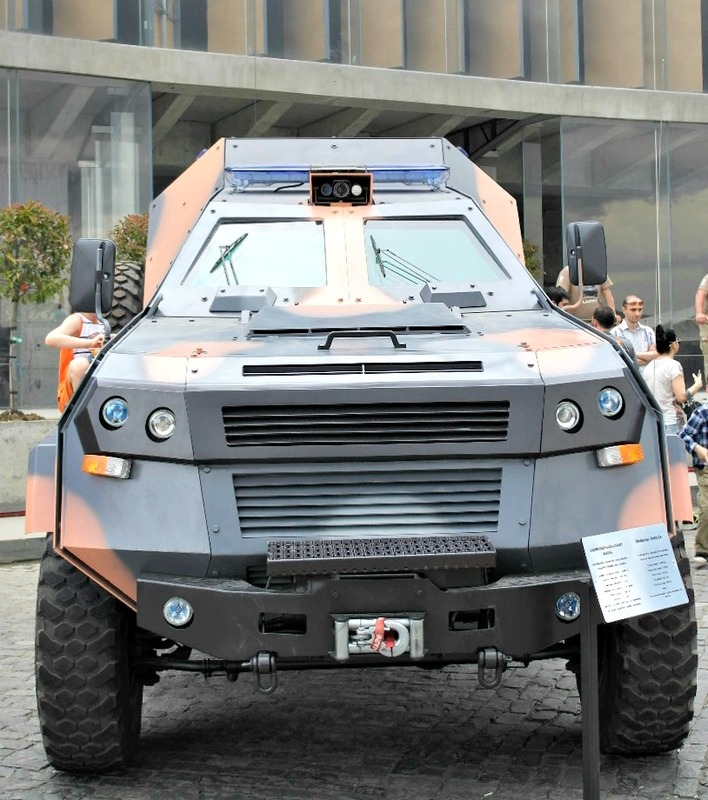 The base of the vehicle is manufactured from the layer of armored steel – while the protection level is further enhanced by an add on armor plates – which can be easily removed or replaced – for replacement of damaged panes, upgrade/downgrade of vehicle protection. 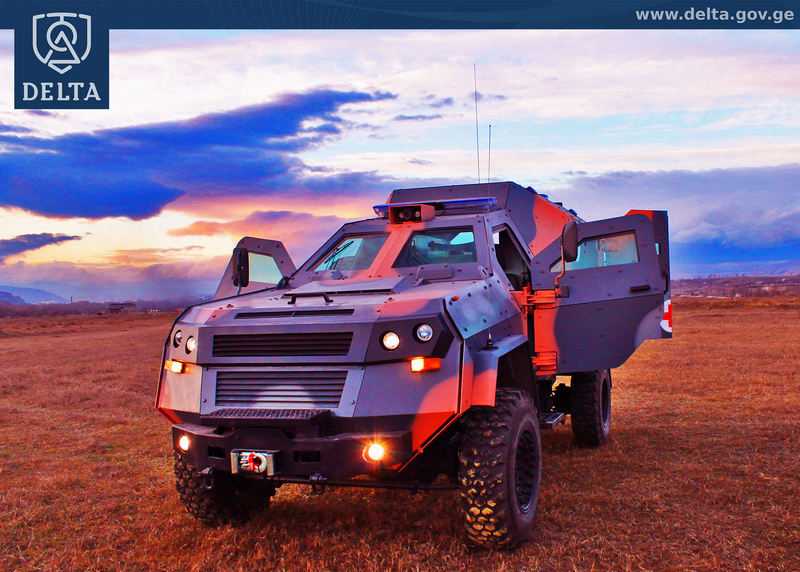 Production of modern communication vehicle aims to transmit and receive the exact information or command promptly and without delay for rapid and mobile army during the operation. 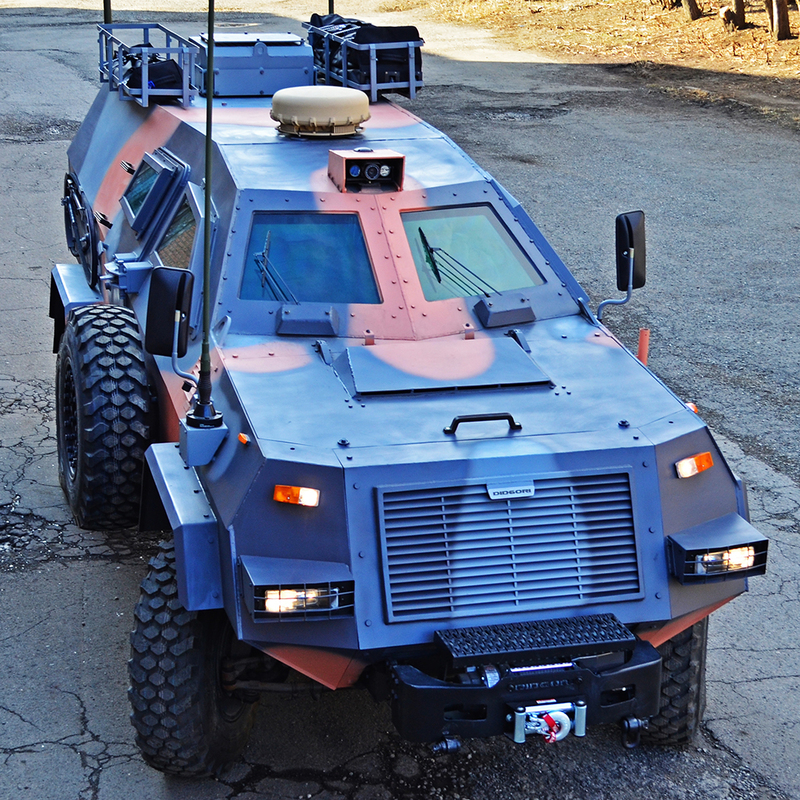 Operative tactical level communication vehicle was manufactured on the base of “Didgori” armored vehicle unified platform.